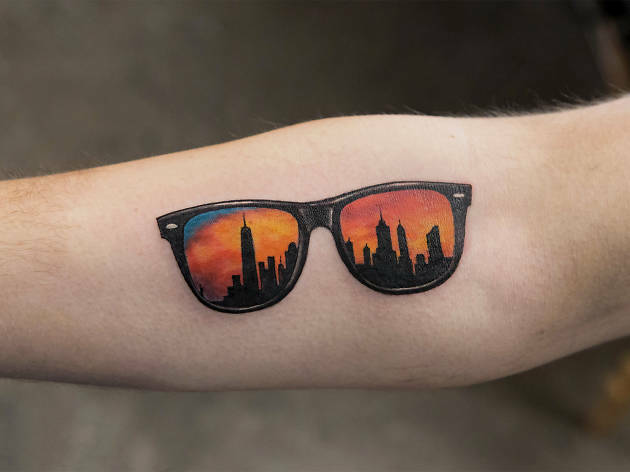 New Yorkers love them some tattoos—and for good reason. When you have one, just walking down the street makes you a moving piece of art, contributing to the aesthetic that makes this city—the same one that helped birth another street art, graffiti—so vibrantly cool. While Native Americans have refined the practice for (at least) hundreds of years, NYC’s modern history with ink goes way back, too. Martin Hildebrandt opened the first U.S. tattoo shop in 1870 on Oak Street, in the shadow of the then-unfinished Brooklyn Bridge. In the first half of the 20th century, the Bowery was the crucible that helped define the national style. (Tattooing was illegal in NYC until 1997, but that never stopped us.) 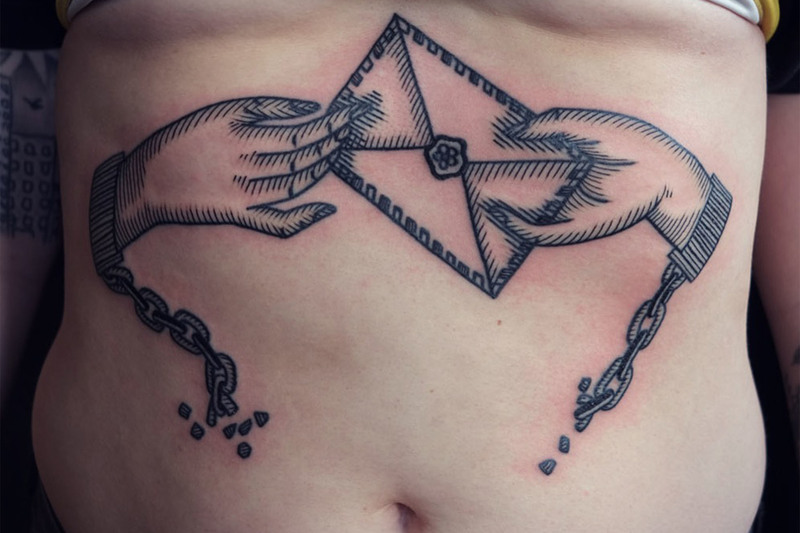 Today, a whopping 47 percent of Americans aged 18 to 29 are inked. Continuing our city’s proud tradition, some of the most incredible contemporary artists—in any medium—are working in a tattoo shop near you, pushing the art form forward. 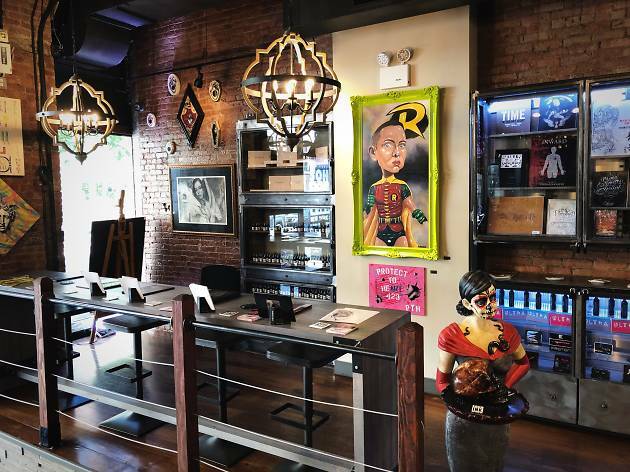 The art doesn’t stop there—there are plenty of great body piercing shops, too. 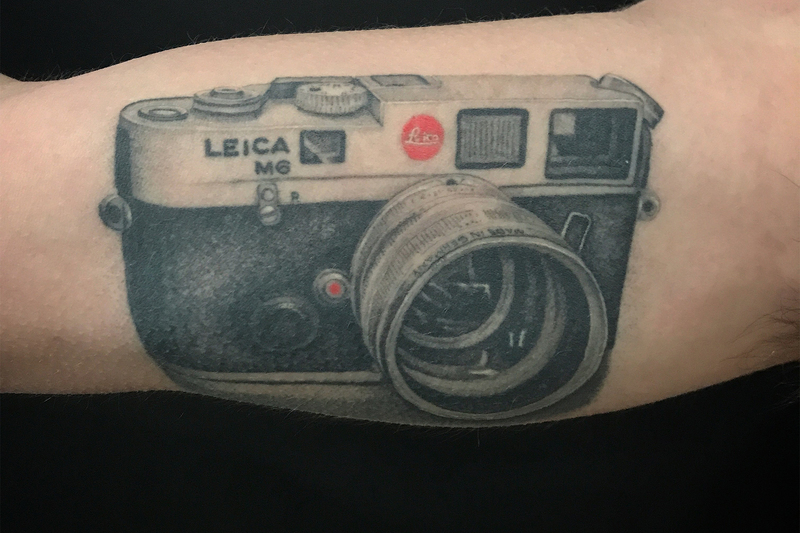 Why we love it: All great museums leave a lasting impression on your mind, but this may be the only one that also marks your skin for eternity. Daredevil, a shop and tattoo-history museum, just celebrated its 20th year. 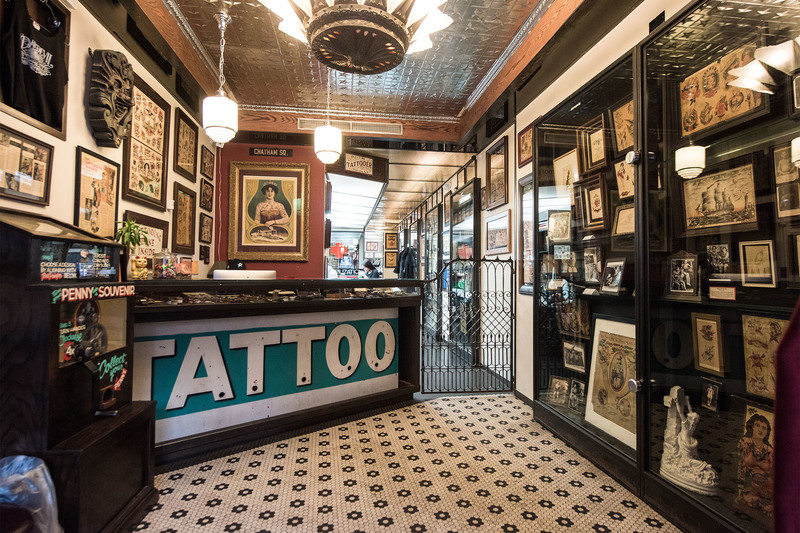 “We opened when tattooing was legalized in New York City,” says co-owner Michelle Myles. The walls are covered with artwork by tattoo innovators such as Samuel O’Reilly and Sailor Jerry, alongside antique tattoo machines and old-time sideshow banners from the early days of a taboo industry—and the museum is free to the public. Myles, co-owner Brad Fink, Diego Mannino (who drew this issue’s cover) and the other talented Daredevil artists genuflect before this rich tradition and then carry it into tomorrow. Other than the ink, go: To see Thomas Edison’s patent on a device that is essentially identical to today’s tattoo machines. Why we love it: If a group of Xenomorphs (from the film Alien) were to disavow slaughtering astronauts for a life in the arts, this studio is what they would create. 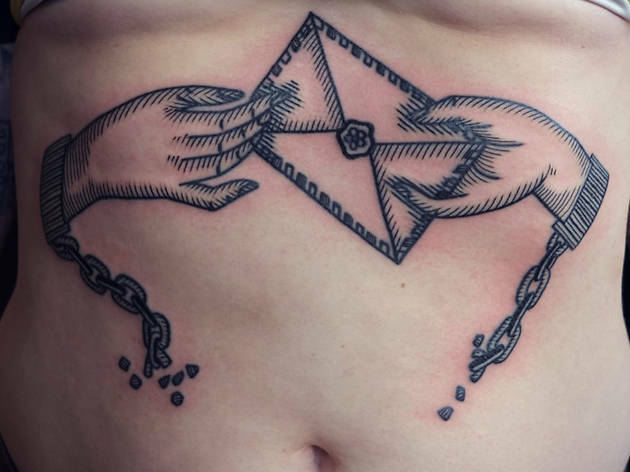 Paul Booth has built a career out of turning his nightmares into our reality through hauntingly realistic black-and-gray tattoos. 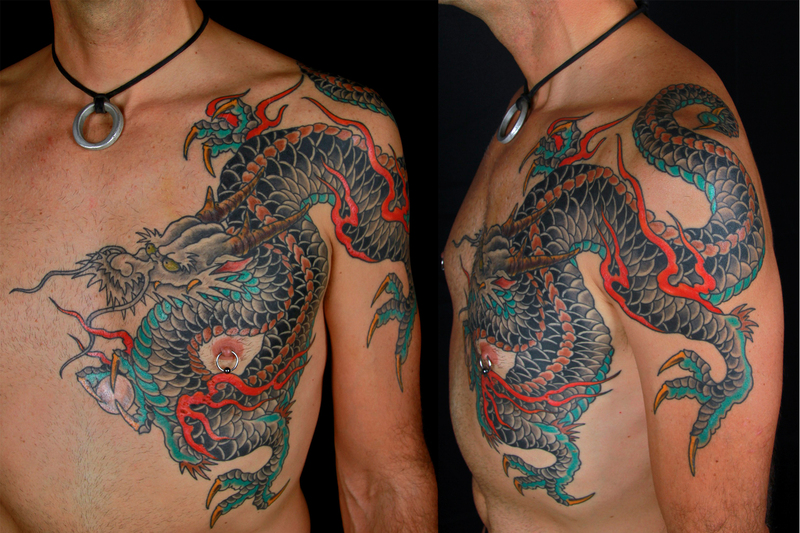 He is a living legend who has tattooed metal royalty—members of Slayer and Pantera, for instance. Booth’s studio and gallery gives New Yorkers the opportunity to step into his dark vision of the world. 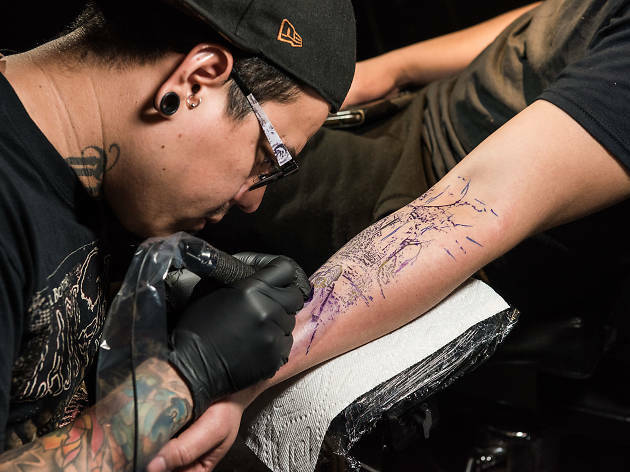 With each tattoo station lit by a single, stark light in an otherwise dark space, Last Rites is the ideal place in the city for getting in touch with your shadowy side. Other than the ink, go: To witness the apparent resurrection of H.R. Giger in Manhattan. 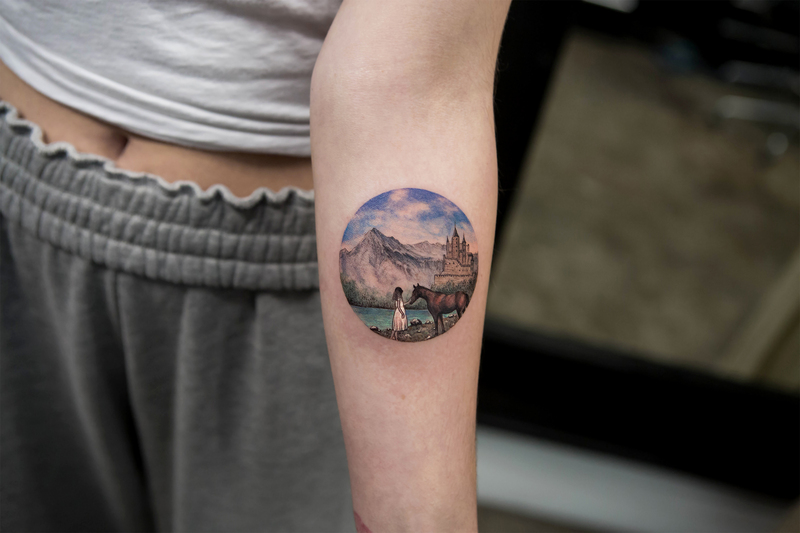 Why we love it: On a Venn diagram of fine art and tattoo art, Brooklyn’s Saved Tattoo is dead center. 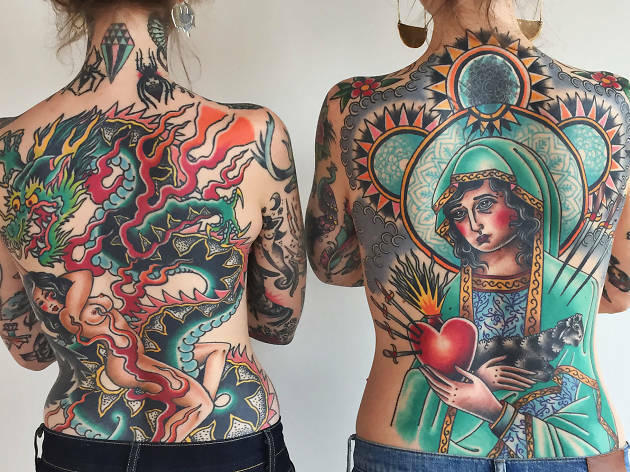 Co-owned by Scott Campbell and Stephanie Tamez, this is the kind of place where creativity takes the spotlight: Many of the shop’s resident artists have seen their work (tattoo and otherwise) hanging on gallery walls. Tamez taught a course on tattoo design at the School of Visual Arts, and Campbell toured the world with his Whole Glory project, which asked people to have complete faith in him as they stuck their arm through a hole to be inked without consultation. (Yes, it was a tattoo glory hole.) 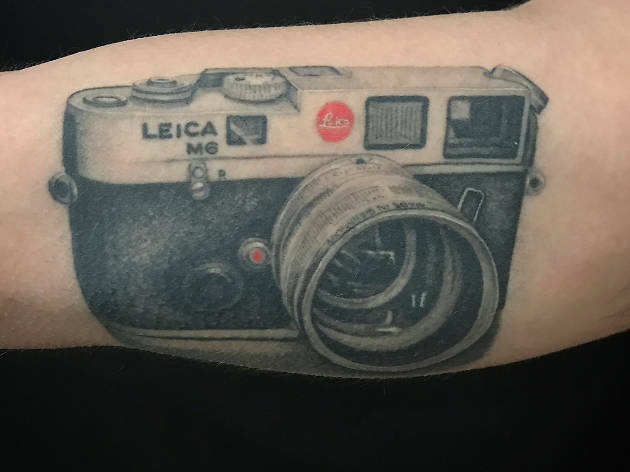 In this shop, you’re allowed to watch, but that same level of absolute trust helps when you work on your design with one of the highly skilled tattooers. 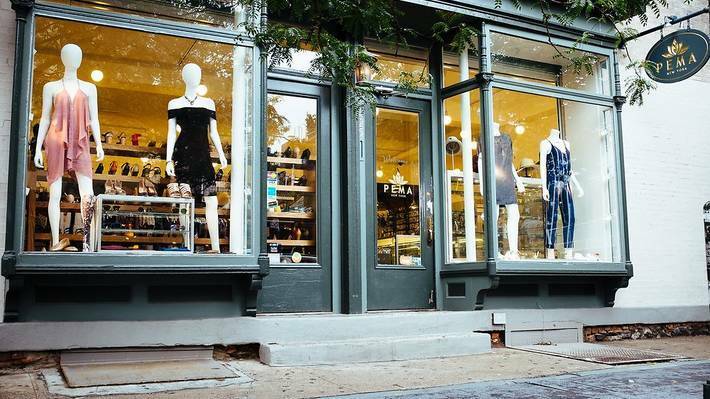 Why we love it: Art and craftsmanship come together in this high-end Alphabet City street shop. Josh Lord, who’s created tattoos for characters on HBO’s True Detective, sets the vibe at East Side Ink, which he fills with talented artists without pretensions. (Unfortunately, a lot of assholes populate this industry.) You’ll see everybody from neighborhood punks to Daniel Day-Lewis and Scarlett Johansson sitting in the chairs. 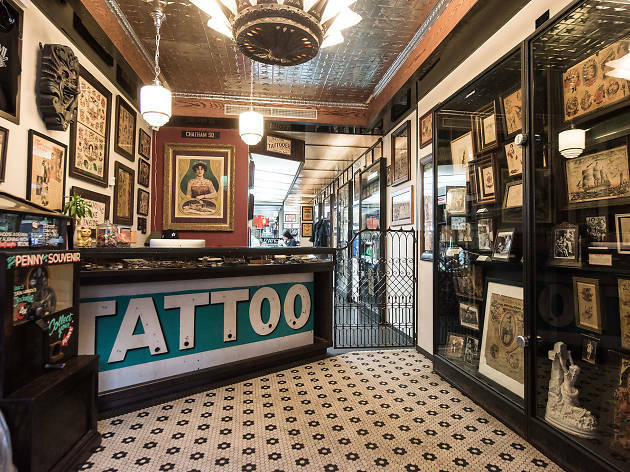 And while East Side Ink is a legacy shop in NYC, they’re anything but stuck in the past. Other than the ink, go: To laser off that ink you hate (25 percent of those who get tatted have regrets). Plus, one of the shop’s new services is microblading, the permanent cosmetic that is changing the face(s) of our city. Why we love it: Though almost 7,000 miles away from Tokyo, the New York tattoo scene is enormously influenced by classic Japanese techniques. You know the style’s imagery: koi fish, fu dogs, dragons, tigers, waves and wind. 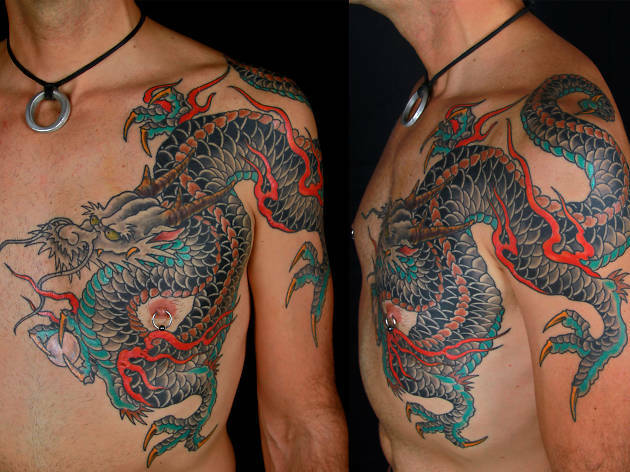 Japan can also be thanked for launching the modern ink craze: Brits in the Victorian era loved tattoos, as you had to travel to Japan to get them and were thus displays of wealth. The same designs from that century still permeate the culture, and a full-body suit can cost up to $20,000. 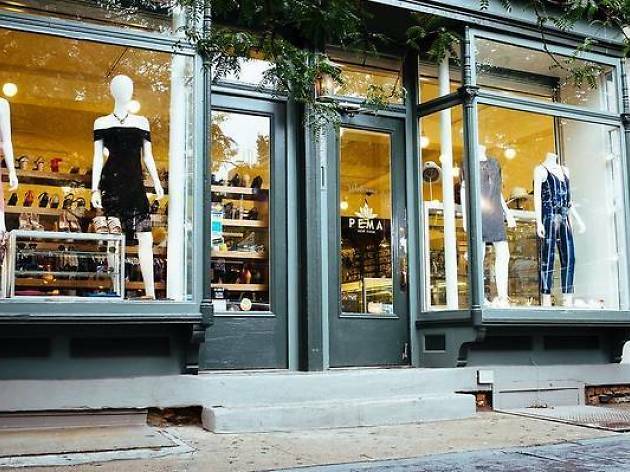 While plenty of great NYC shops specialize in this form, artists at Senaspace are a dragon’s head above the rest. Other than the ink, go: For artfully designed light fixtures that put your lampshades to shame. 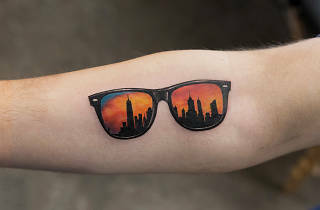 Why we love it: Chances are, you mindlessly scroll through your Instagram feed and double-tap countless photos of celebs flaunting their new tattoo. But did you check to see who they tagged? We’ll save you the research: It was Bang Bang. Keith “Bang Bang” McCurdy has been the go-to tattooer for VIPs—Rihanna, Odell Beckham Jr., Cara Delevingne and the Biebs, among them. But he’s far from the only star in this massive, super-slick shop: No matter the style, these artists can bring any of your ideas to life. Other than the ink, go: For the experience. Bang Bang feels more like a hip penthouse than those grimy tattoo shops of yesteryear. 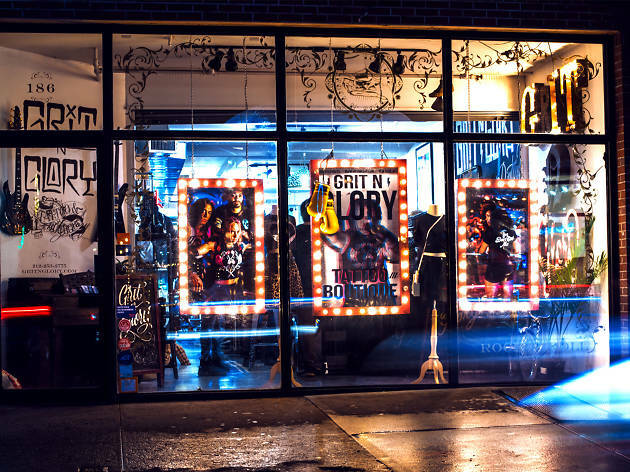 Why we love it: Take a quick glance from across the street, and Grit N Glory appears to be just another one of the hundreds of fashionable clothiers that dot the Lower East Side. 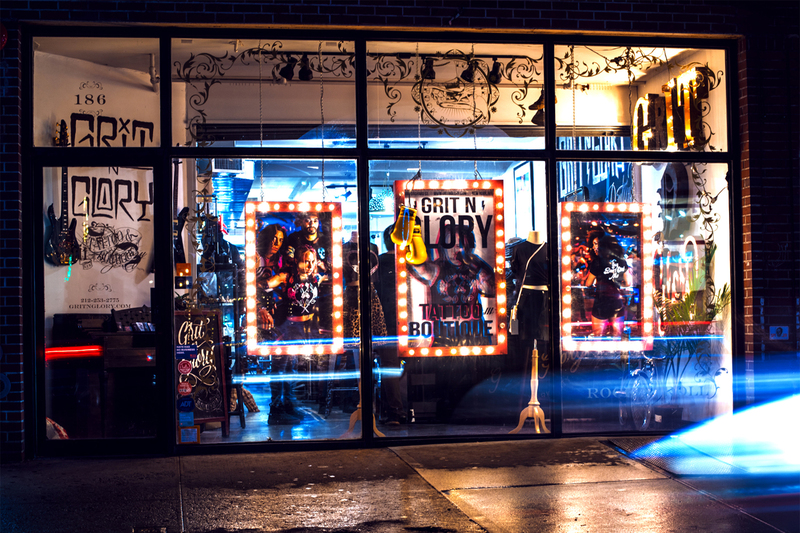 But once you step inside and move through the rock & roll boutique, you start to hear the telltale buzz of Megan Massacre’s tattoo machine. Massacre first became a household name as a star of NY Ink, where fans fell for her style, aura and art. 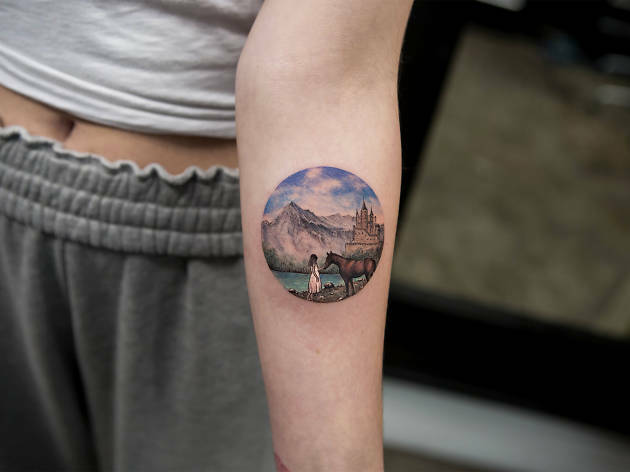 With her reality-TV days in the past, it’s now her playful and bright illustrative tattoos that make people marvel. Other than the ink, go: For cute puppies! As an avid animal-lover, Massacre hosts the yearly #TatsAndTails event, where people can get a cute pet-themed tattoo and adopt a furry friend from the ASPCA. Other than the ink, go: To listen to Sade. Yep, they play her music—often. One jerk even complained about it online, which just prompted East River to create a flash sheet dedicated to the elusive star. A new hub has arrived to give you body work with high standards in an authentic space. Head to this well-appointed shop for all manner of inks and piercings, with resident and guest artists available to talk you through your next transformation. Cleanliness standards abound, and you'll be walked through every single step of care with a patient, super-chill staff. Hang around to shop a well-curated selection of jewelry, t-shirts and more. Whether you're a first-timer or an old fogie, you're certain to be taken care of here. Want to update your closet?